International youth project: Get Your Own Picture project unites 60 young people from Europe to run film workshops and produce films as end products. 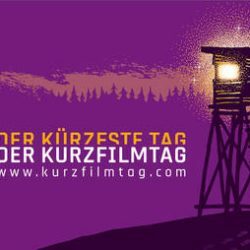 Since 15 years we celebrate our International Short Film Festival Detmold. Every year we screen more than 300 shortfilms. Local workshops for refugees, migrants and locals. The Kultur & Art Initiative develop and implement art and culture projects. Kultur & Art Initiative was established 15 years ago and is an intercultural and intergenerational non-profit association with members from different nations, age groups and with different careers, who have got work experiences in media production, education and media education for many years. Our aim is to produce projects with people from different origins. Our concept is based on the contents of social and intercultural integration. We want to work against the passive culture consumption with active culture work. That is why we offer creative and project-orientated opportunities to the participants of our events. We also offer media educational workshops and international youth exchanges to young people. In this context we arrange Erasmus+ “youth in action” projects together with the EU.